Product #18593 | SKU RG2 | 0.0 (no ratings yet) Thanks for your rating! 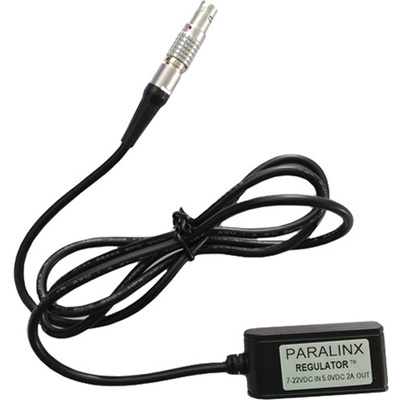 This Paralinx USB Regulator Cable is a 2-pin connector power cable for Paralinx Arrow and Arrow Plus transmitters / receivers and for USB type A devices. It regulates 7-22 V of the 2-pin connector and outputs 5 V at 2.1 A to a female USB type A output. It is 40" long.